Do you struggle to come up with a good idea for Father’s Day each year? What gifts for dad from the kids should we do this year? When my first son was born, I came up with this idea for a Father’s Day gift. My husband and I loved it so much, I have turned the gift into a yearly tradition. Now, I know what we are getting him every year- BOOKS! My husband celebrated his first Father’s Day with a lemon pie and a picture book, Kisses for Daddy by Frances Watts and David Legge, that he could read to our son. In this story, little bear doesn’t want to give his Daddy a kiss before bed. Daddy Bear tries to convince him to give silly animal kisses throughout the book until finally, Little Bear gives in and gives Daddy a bear kiss. Inside the cover of the book, I wrote a short note to him and dated the entry. The next year, I decided to create a tradition of giving him a book he can read with our, now, two sons. Since my sons were 19 months and 2 months, I chose the book. However, as they got older, I let them choose a book they would like to read with Daddy. That year, I chose the book, My Dad! by Steve Smallman , which is a beautifully illustrated story showcasing the many qualities that dads have. 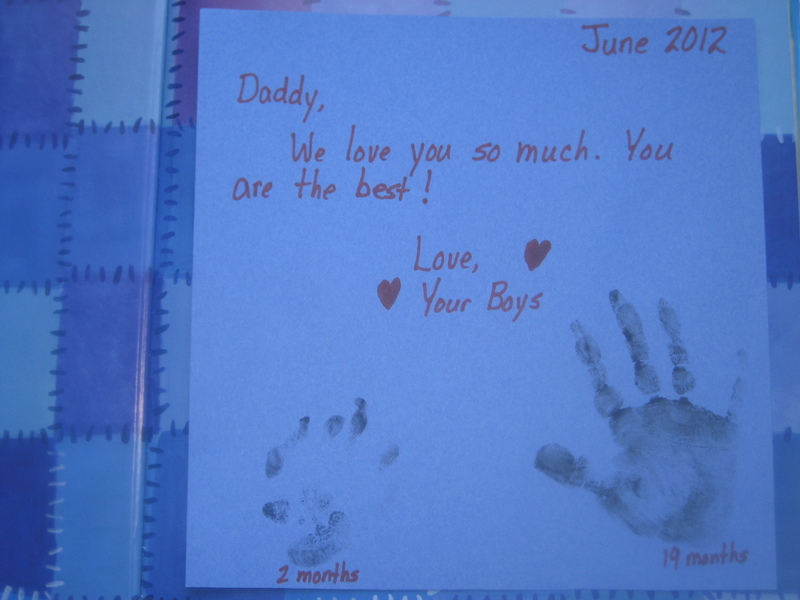 I wrote a note on construction paper and stamped both of my kids’ handprints on the note. Then, I adhered the note into the inside cover of the book. I couldn’t stamp directly into the book because the pages were slick and I knew the prints would smudge. As my sons grow, I plan to let them draw pictures and/or write notes to attach to the inside cover of each book we give my husband. My long term goal is to one day divide all of the Father’s Day books up between my two sons when they become daddies. I think it will be a perfect gift for their first Father’s Day! Of course, my husband will expect the lemon dessert tradition to continue too! 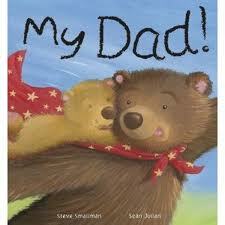 Me and My Dad by Alison Ritchie is a sweet story of Daddy Bear and child spending the day together. I let each of my kids “draw” with permanent marker on the inside cover as a keepsake. The Best Dad in the World by Melanie Joyce has been a popular book in our house since we got it. A young gorillas shares all the reasons his dad is the best. My son loves the part when his dad burns the toast in the story. For our keepsake, I had each of my boys “write” the word “Dad” on a piece of paper. We dated and glued the slips inside the front cover. My boys picked out the book for their Dad one year. We gave Let’s Build by Sue Fliess. It’s a sweet story about a dad and his son who build a fort together. It is something my boys love to do with their dad. My oldest son built a creation out of Lego and my youngest built something with Magna Tiles since those were their favorite toys one year. I snapped a picture of each of them with their designs and adhered them to the inside cover of the book. Side by Side by Chris Raschka will be our pick for this year. It’s a beautiful story about all the things kids do with their dads. I also love that the illustrations are multicultural which is hard to find in Father’s Day related books. I’m going to glue pictures of the kids side by side of their dad for the dedication inside. 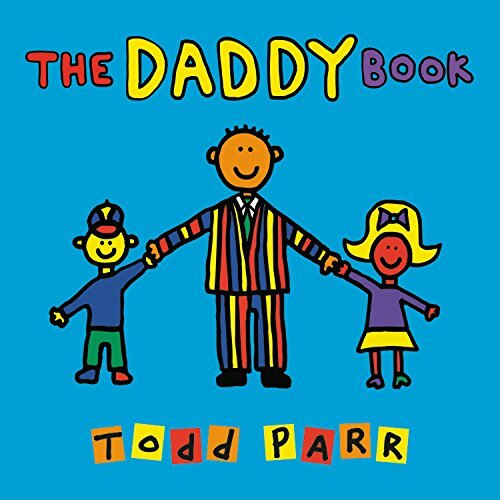 The Daddy Book by Todd Parr celebrates dads of all shapes and sizes. I love how inclusive this one is. 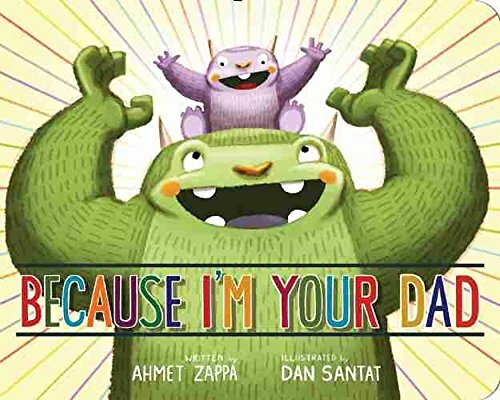 Because I’m Your Dad by Ahmet Zappa celebrates all those special things dads get to do like spaghetti for breakfast and eating ice cream in the bathtub. Never worry about what gifts for dad from the kids you need to find again. You are set for life with this idea! One of the sweetest ideas I’ve ever seen. What a great idea! We love the Kisses for Daddy book. My son has to read that book every night before bed. We haven’t read the other book yet so we’ll have to check that one out. It is such a sweet book! 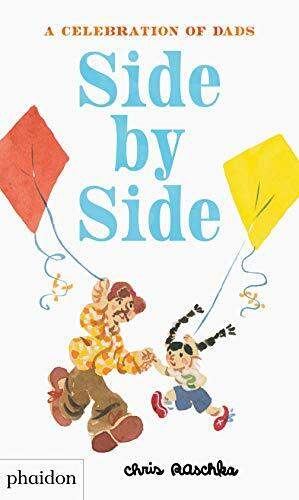 I just wanted to let you know that I liked your idea for giving Dad a picture book for Fathers Day so much that I decided to feature it today for The Kids Co-op linky. Thank you! What a great idea. 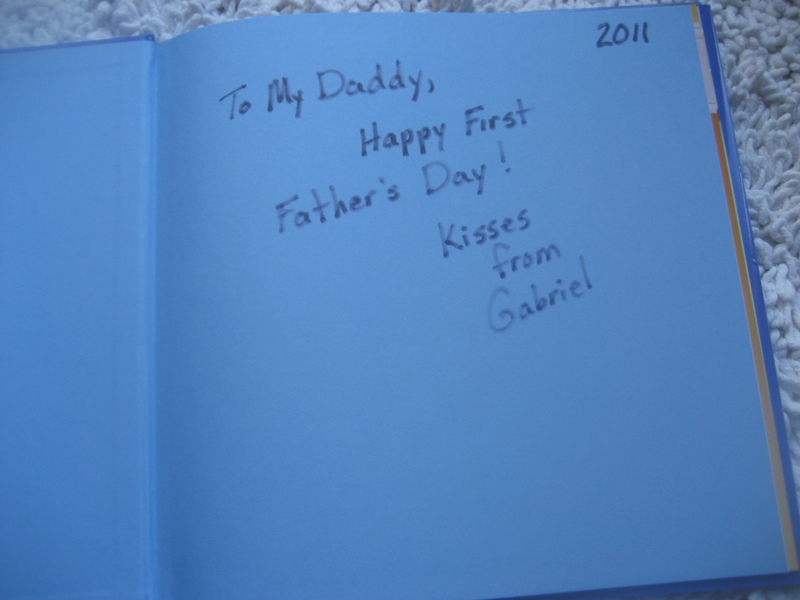 I’ve always wondered how to incorporate picture books with Father’s Day! Posted on I’ve been absent for a while, but now I reemmber why I used to love this site. Thanks , I will try and check back more frequently. How frequently you update your web site? Thanks, I post every Monday. Some weeks you will find a bonus post too. Thank you. I’m very excited about this long term project.